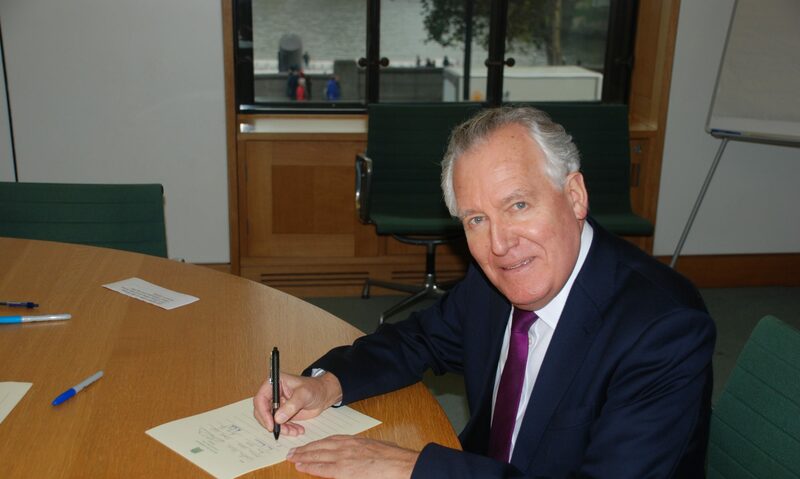 Labour MP for Neath between 1991 and 2015, Peter Hain was a senior minister for twelve years in Tony Blair and Gordon Brown’s governments, where he served as Secretary of State for Wales and Northern Ireland, as Secretary of State for Work and Pensions and as Leader of the Commons. He was also Europe Minister, Foreign Minister and Energy Minister. He chaired the UN Security Council, and negotiated international Treaties curbing nuclear proliferation and banning the conflict-inducing trade in blood diamonds. Peter Hain’s childhood was spent in apartheid South Africa, a period that came to an end when his parents were forced into exile in 1966. A leader of the Anti-Apartheid Movement and the Anti-Nazi League in Britain during the 1970s and 1980s, he obtained degrees at Queen Mary College, London, and Sussex University. Over nearly 50 years in politics Hain has written or edited twenty-one books – including his biography Mandela (2010), memoirs Outside In (2012), Ad & Wal: values, duty, sacrifice in apartheid South Africa (2014), and Back to the Future of Socialism (2015). He is also the author of numerous pamphlets and media articles, and has appeared widely on radio and television, as well as being an experienced public speaker. Married with two sons and six grandchildren, he is a keen football, rugby, cricket and motorsport fan.